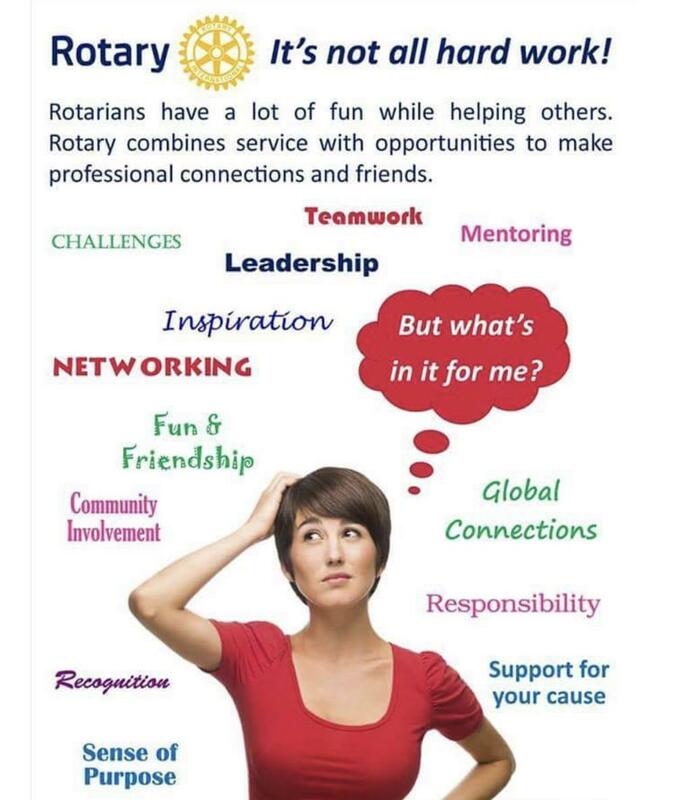 What is Oak Forest Rotary About? 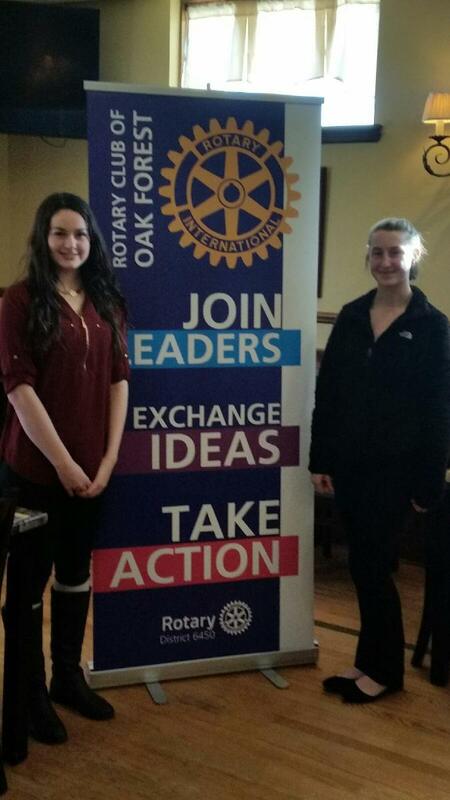 Welcome to the Rotary Club of Oak Forest!! Winter: Tuesdays at 12:15pm at Beggar's Pizza. 1st Tuesday of each month we meet at Beggar's at 6pm. Spring/Summer/Fall: Tuesdays at 12:15pm at Midlothian Country Club. 1st Tuesday of each month 6pm at Beggar's Pizza. Here is your chance to DO GOOD and promote your business! 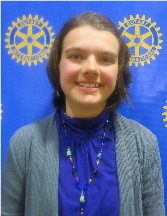 An update from our Rotary Youth Exchange student! Top 10 Reasons to Attend Trivia Night!!! Trivia Night 2019 "IT'S A NEW YEAR!" Looking for something exciting, while supporting an amazing cause? Well, on Friday, January 18, 2019 (doors open 6:30pm) the Oak Forest Rotary Club will be hosting a Trivia Night at Chicago Gaelic Park to support our youth programs including "Backpack Food4Kids", student scholarships, youth exchange, Empower Leaders Scholarship Conference, and much more. Oak Forest Rotary Club Donates a Shelter Box for those in Need. Oak Forest Rotary Club donates tirelessly for those in need, in Oak Forest and around the globe. 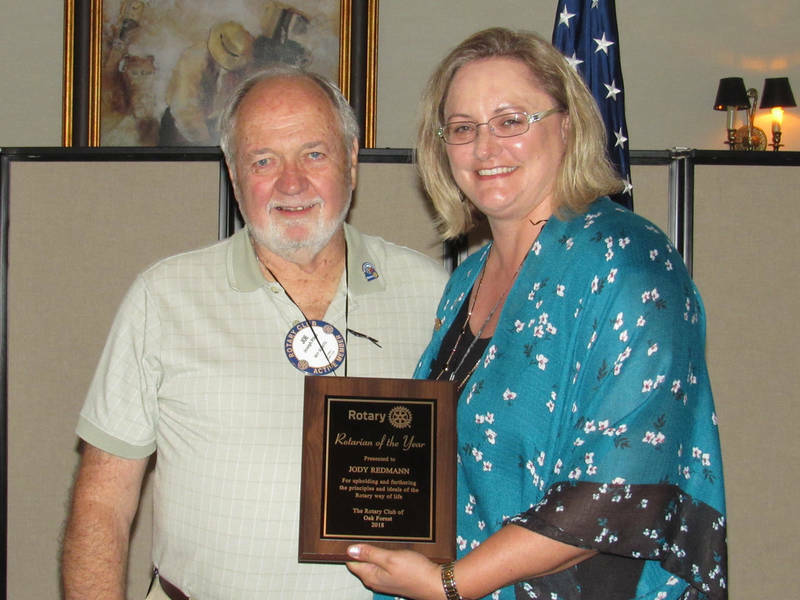 The Rotary Club of Oak Forest named their Paul Harris Awards, the Rotarian of the Year and its Board Members for their 2018/2019 year. Thanks to Sue Wolf, Bill Zerinskas and Joe Pilch for joining me to present 4-Way Test Awards to our local elementary and middle school winners over the past few weeks. The Oak Forest Rotary Club’s 4-Way Test Award program began in 1987. The Club presents the Award every year to a boy and a girl from local elementary and middle schools. The winners are recognized for demonstrating good behavior and exhibiting a strong moral character. The medallion awards are presented to the students at their school’s awards assembly or graduation ceremony. This year’s winners are: Nikki Gedrimas and Guiseppi Smith from Arbor Park Middle School; Justina Nieves and Nathan Barranca from Fierke Education Center; Emma Fudala and Parker Griffin from Lee R. Foster School; Megan Schoubye and Robert Sidler-Ortiz from Hille Middle School; Tehya Semens and JeSean Shannon from Kerkstra Elementary School; Donna Beltran and Noah Blakemore from Scarlet Oak School; Catherine Petit and Matthew Haro from St. Damian School. Representatives from the Oak Forest Rotary Club presented 4-Way Test Awards to a number of local students over the past few weeks. This year’s winners are: Jovita Johnson and Nicolas Aspan from Arbor Park Middle School; Cameron “Cami” Sinal and Zachary Ketza from Fierke Education Center; Melanie Ochal and Donovan Weekly from Lee R. Foster School; Christina Hanson and Douglas Racine from Hille Middle School; Mia Nutile and Chris List from Kerkstra Elementary School; Paige Kairis and Joseph McCarthy from Scarlet Oak School; Abigail Barker and John Cooke from St. Damian School. 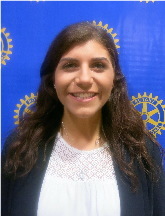 For more than 30 years, the Rotary Club of Oak Forest has recognized outstanding graduating seniors with a $1000 scholarship award based on their social and civic involvement in our community. Our criteria for selection is simple, Service Above Self or "what have you done for others in your high school career". This year those Oak Forest Rotarians who participated in the final selection process were: Sue Wolf, Bill Zerinskas, Jody Redmann, Susan Vanderwalker, Jim Pauley and myself. The following graduating high school seniors were chosen to receive a $1000 scholarship from our Club: Jenna Beardsley, Marley Majetic and Katherine Castillo. A special thanks goes out to Rotarian Savka Mladenovich whose special assistance, from beginning to end, is also greatly appreciated. Also thank you to those Rotarians who contributed their applicant assessments prior to the final interviews. 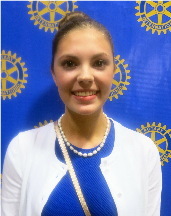 Please join me in giving a warm Rotary welcome to our scholarship recipients and their parents on May 24th. On February 21st we hosted our 22nd Annual Free Pancake Breakfast and Blood Drive and it was an incredible success. 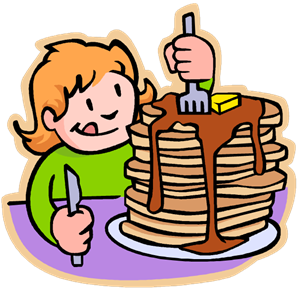 Over 600 Pancake Breakfasts were served thanks to our numerous volunteers, incredible performers and local citizens. We also collected 58 pints of blood thanks to a great response from regular donors, breakfast attendees and publicity from local organizations. For those that are not already familiar, 58 pints of blood can save up to 174 lives!! We will be uploading numerous pictures from the event to our website soon, so please check them out. We sent out a detailed thank you letter last month to those involved, but for anyone that did not see it or would like anther copy just email me and I would be happy to forward it on. Briefly though, I would like to mention some of this year's highlights. - Incredible performances by Legacy Dance Studio, OFHS Choir, Arbor Park Middle School's Beethoven's Arny,4th & 5th grade Choir from Kerkstra and Foster, the Jack Hille Middle School Jazz Band, and Pockets the Clown. Dee De the Clown, Linda Baxter and Danielle Brown were amazing with all of the kids as well filling the crowd with painted faces and balloons. - Almost $600 in donations were made at the door and the OFHS Interact club raised $360 through their 50/50 raffle. - We unveiled out newly designed Club Brochure and it was met with great response from everyone that day. Thank you again to everyone for making this event the best ever! Do you know what RYLA is? How about a Rylarian? Each year thousands of young people worldwide take part in the Rotary Youth Leadership Awards (RYLA) programs. These programs include camps, workshops, or seminars that provide an effective training experience for youth participants to develop their leadership, communication, and team-building skills. Once they have completed the program they are referred to as a "Rylarian." One such RYLA program was held October 9th-12th at Holiday Home Camp in Williams Bay, WI. Our club was 1 of over 40 local clubs that participated, and together we sponsored 95 sophomore to senior level high school students from around the Chicago land area to attend the 4 day program. They participated in various physically and mentally challenging tasks aimed at helping them learn more about themselves and others. These two young ladies from Oak Forest High School were sponsored by our club and recently came to visit us to tell us about the amazing experience they had. Amongst their many highlights included the "Reality Store" which is an exercise in which every student is asked what career and marital/parental status they will have when they are 25 years old. Then they are given real life paychecks and are required to buy everything from housing and insurance to groceries and day care. They also enjoyed the numerous outdoor activities that could only be completed with the right amount of teamwork and trust in their groups. It is an incredible 4 days that help them to think, learn, and act in new ways; and give them the confidence to take these new skills back to their homes, schools, and communities to share with others. Please contact our club if you would like more information about RYLA or to be a volunteer with our many youth programs. A couple weeks ago we had a visiting Rotarian Nick Cragg (Rotary District 1100 in England) join us for our weekly meeting. 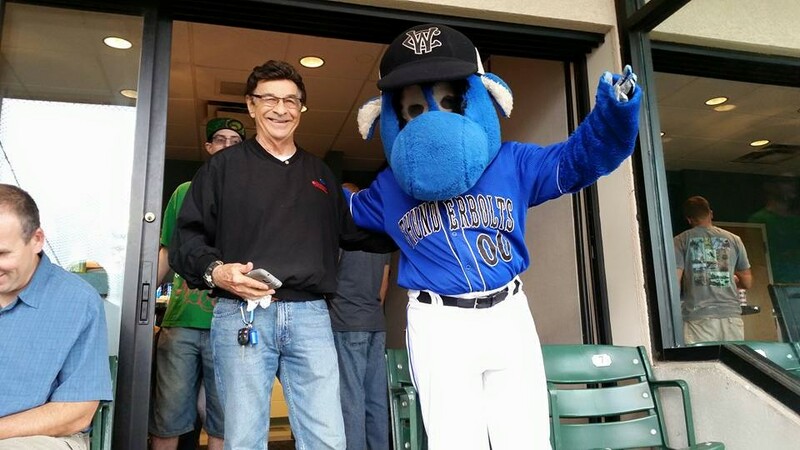 He was accompanied by his partner Catrina Hares and close friend Sue Vanderwalker. Although our time together was short, stories were shared, ideas were created, and fun was had by all. 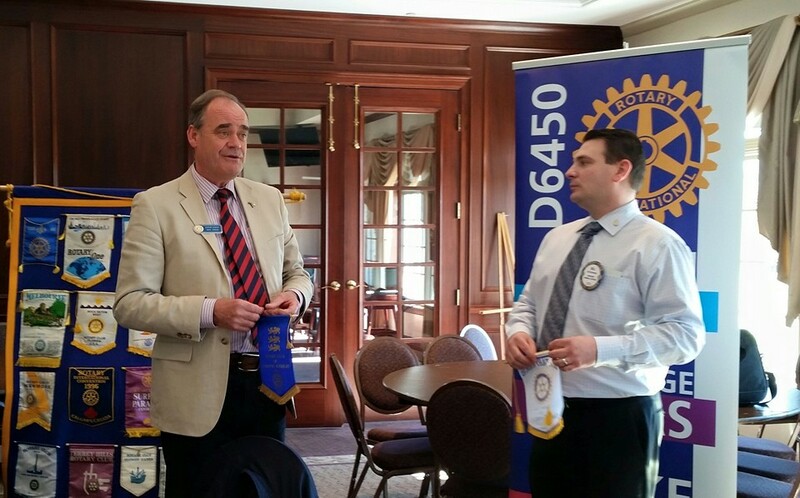 We even had the opportunity to exchange club banners, a long-standing tradition in Rotary. It was a great reminder of the amazing Global community Rotary has created. A community of over 1.2 million people all with the same mission... Service Above Self. Over the past few days we have been reminded of the terror that still exists around the world. I just wanted to take this moment to share this photo of our banner exchange with Nick and remind everyone of the truly great works Rotary does all over the world, everyday! How do we support so many great causes? Each year our club supports several programs both locally and around the world. 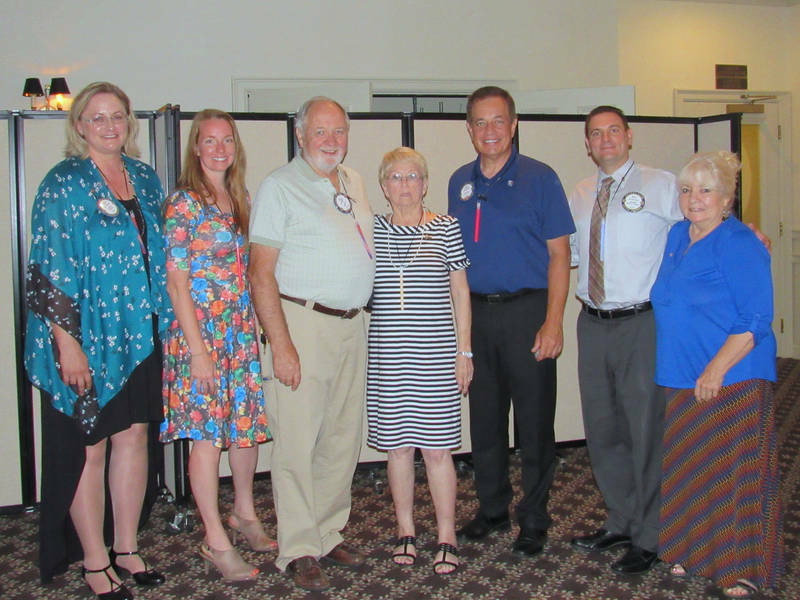 From local Youth Development programs like RYLA, Interact, and EarlyAct to International Disaster relief efforts via ShelterBox the Oak Forest Rotary is there. How exactly do we accomplish so much? Amazing members dedicated to putting their time and talents to work for the benefits of others and, oh yeah, fundraising. We are currently in the midst of our Annual Cash Raffle that supports almost 90% of the projects we take on each year. We have already sold 125 tickets in the past 2 weeks and are hoping to double this by the December 15th raffle date. The prizes are significant and there are multiple chances to win. So whether you're receiving this newsletter because you are a Rotary member or a "Friend of Rotary", please remember the great works we do and the funds needed to help make it happen. or Dorothy Kennedy at 708-444-4378. As we do every year, our club will be sponsoring a Blood Drive at the Community Awareness Fair. It will be at the Oak Forest High School from 10:00 am to 3:00 pm. Please consider taking a few minutes this weekend to donate. And if saving a life wasn't already enough, the t-shirt Heartland is providing to all donors is pretty awesome too. Walk-ins are welcome, but if you are short on time and would like to schedule your 15 minute slot ahead of time it is as easy as calling Jim Watson at 708-633-0101. If you would like to bring the family, the awareness fair is set to have around 100 vendors, live entertainment, plenty of give-aways, and Spiderman will be taking pictures from 11:00-1:00. Be sure to stop by the Rotary table and say hello as well. Rotary International recently rolled out a new Rewards program for it's 1.2 million members worldwide. Members now have access to numerous discount programs good for various online shopping outlets, car rentals, entertainment venues, airlines, hotels, office supplies and more. There are also offers that will donate a percentage of your purchase at popular retailers and merchants further supporting our efforts in the community and around the globe. Click on the following link to be directed to the new Rotary Global Rewards page on rotary.org https://www.rotary.org/en/member-center/rotary-global-rewards For anyone that needs help logging into their myrotary page please let me know. Occasionally we have a little fun too..
Week after week, month after month we are dedicated to "Service Above Self". So what do Rotarians do when they take a short break from changing the world? 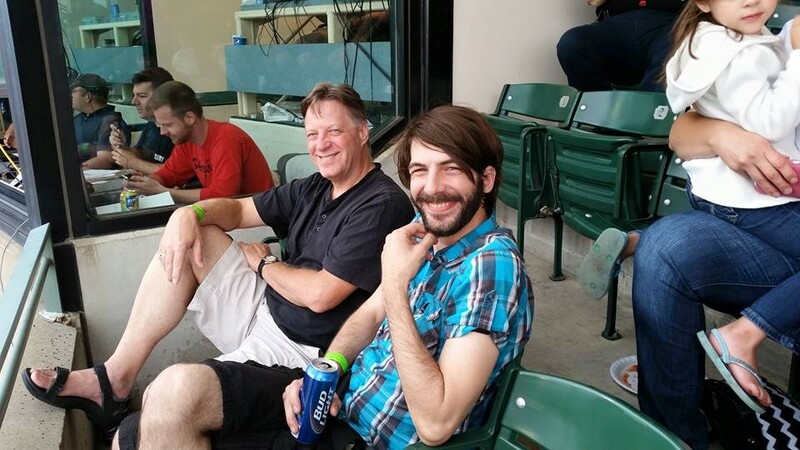 Well, last month we took in a ballgame. 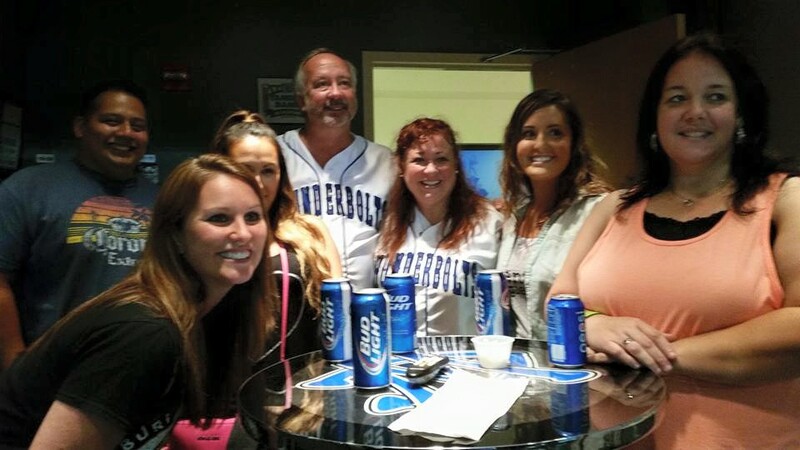 Thank you to fellow Rotarian Dr. Joe O'Donnell for organizing a wonderful evening at the Windy City Thunderbolts game. 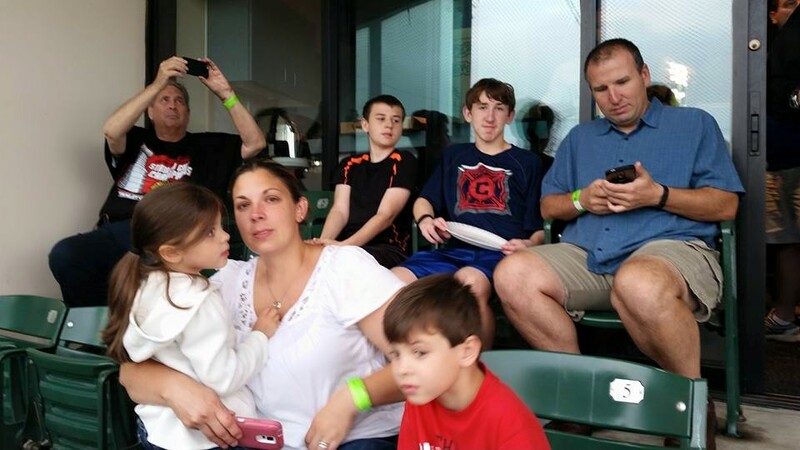 It was a great evening and everyone had a fun time (despite the 9th inning loss). We look forward to more events like this this year as it was great to have so many members and their families together just to enjoy the evening. Recently our club had the privilege to have Jeff Ficaro from the Disabled Patriot Fund as our guest speaker. I may not do their mission justice in this short message, but here goes. During Jeff's short time with us, he relayed the organization's amazing undertakings and their utmost importance. The Disabled Patriot Fund provides financial assistance to disabled veterans and their families who have fought the Global War on Terror. When men and women come back from service there can easily be a 12 to 18 month lag time (or even longer) from filing for disability assistance to actual receiving it. I don't know about you, but I certainly can't wait the next 1 to 2 years before receiving my next paycheck. Enter the Disabled Patriot Fund. Individuals continue to turn to them for help during these difficult times and find assistance for a variety of needs. Ramps, transportation, even money for food just to name just a few. These men and women personally sacrifice so much to protect the Freedoms we enjoy every day and deserve our support. The Rotary Club of Oak Forest is proud to say we made a $1,000 donation last month to this cause and hope that we can further help such an awesome organization by spreading their message. Remember asking your parents what something meant when you were a child? Remember that ever so popular response? For decades that was the response, now it's probably "Google it", but you get the idea. 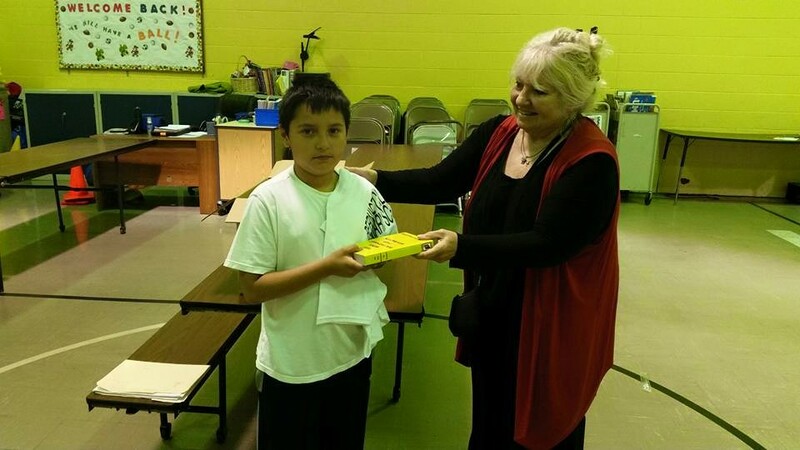 Despite the ever advancing technology there are still some clubs around the world that take on "Dictionary Projects" where they hand out dictionaries to local 3rd graders. Supporting Education is one of Rotary's 6 major areas of focus world wide. the other 5 if you are wondering are: Promoting Peace/Conflict Resolution, Fighting Disease, Providing Clean Water, Maternal and Childhood Care, and Growing Local Economies. Just a couple weeks ago our club had the opportunity to complete a dictionary project. A special thanks to John Keane and Sue Wolf for volunteering to distribute over 200 dictionaries to 3rd grade students at Bernice Childs and John Gordon schools in the District 143.5 Posen/Robbins area. The students were happy and grateful to have these dictionaries to keep as their own. the school administration was thankful for this assistance as well. 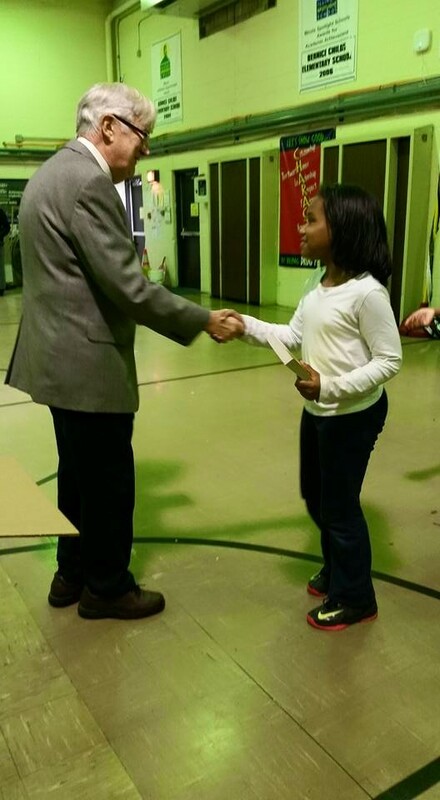 Several members from the Oak Forest Rotary Club presented 4-Way Test Awards to a number of local students over the past few weeks. Thanks to Jason Riha, Sue Wolf, Dorothy Kennedy, Joe Pilch and Jim Pauly for your help. The 4-Way Test is a primary foundation of Rotary. It is used around the world in business, government, schools and homes as an effective ethics measuring stick. The Test reads: Of the things we think, say and do: 1. Is it the Truth? 2. Is it fair to all concerned? 3. Will it build goodwill and better friendships? 4. Will it be beneficial to all concerned? This year’s winners are: Emma Koronkiewicz and Nicholas Jude from Arbor Park Middle School; Sarah Loeza and Robert Heidegger from Fierke Education Center; Amanda Hults and Evan Moss from Lee R. Foster School; Flynn Hartigan and Benjamin Nielsen from Hille Middle School; Tereza Progri and Ivan Corral from Kerkstra Elementary School; Valerie Krueger and Aidan Zeman from Scarlet Oak School; Peyton Nielsen and Brett Wiseman from St. Damian School.